I’m driving to a business meeting and I turn on the radio in my ride. I tune into WFAN in NY for my daily dose of mindless and sometimes mind numbing sports talk dished out by the popular station. It’s mid afternoon meaning top rated host Mike Francesca was doing his thing. 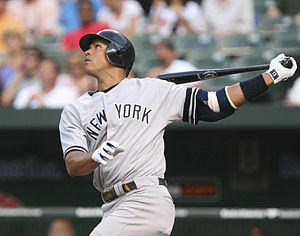 The day’s topic was once again the continuing saga of Alex Rodriguez and his battles with MLB over his PED use during the past few years, primarily his involvement with the now closed, anti-aging clinic BIOGENESIS. Francesca has been criticized by some for seemingly defending A-Rod through what appears to be a “witch hunt” by MLB. I for one have sort of agreed with him in some instances. I find Commissioner Selig’s culpability in this situation and his subsequent actions to clear his own guilt in the matter to be rather sordid and sorry. It seems that baseball is out to destroy A-Rod in a rather draconian mannerto almost cement Selig’s place as the “anti-PED crusader”. 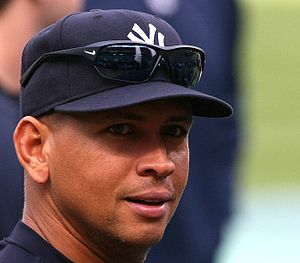 They have leaked details of confidential reports in an effort to besmirch what was left of A-Rod’s reputation. Those are the facts. Francesca, I believe, has tried to be as even handed as you could be considering all the facts of the case. It is an accepted truth at this point in the story that A-Rod is quite guilty of using PED’s and has admitted same. This latest situation stems from his association with the BIOGENESIS clinic in Miami and their involvement in breaking rules by administering questionable treatments to Rodriguez as well as other MLB stars. All of the offenders have taken their medicine by way of lengthy suspensions. All have offered their mea culpas. All that is but one Alex Rodriguez who has maintained that MLB is trying to use him as a whipping boy by basically ending his career with an outrageously long suspension. But back to Mike Francesca. I have frequently disagreed with things he has said, most notably about the NY JETS, but I have to say in this instance I find his remarks to be even handed. First off no one has seen the evidence that MLB purportedly has in regards to this particular set of allegations and yet they have made several attempts to leak information damaging to Rodriguez. Francesca has objected to this modus and I agree with him. Can we hear the case and make a fair determination…please? MLB has stated on several occasions that the weight of the evidence is so compelling, so damaging, that they have every confidence that their 211 game suspension will hold up. So I’m driving in my car and Francesca says that there has been a strange twist in the A-Road hearings and that after a short break he’ll give us all the details. Strange twist? Hmmmm. The entire proceedings have been quite bizarre. Now I’m thinking what could possibly be any weirder in regards to this entire set of events? To my utter amazement when he returns to the air, Francesca informs us all that one of the panelists, one of the people judging A-Rod in this appeal of the 211 game suspension is about to testify against him. Francesca goes balistic and I can see why. Excuse me for a moment…we have accused you of serious wrongful behaviour…so much so that we want to ban you from baseball for 211 games…effectively ending your career…but just in case you didn’t think we were being fair and judicious, we are going to have one of your judges testify against you. What!?!?!?!?!?? Hello?!??!? I will testify against you, but I will also impartially judge you and the merits of your appeal?!??! Insane. Ridiculous. Absurd. Mike Francesca correctly pointed out that this sort of thing might fly in a non-legal, non-courtroom setting, but would never be allowed in an actual court of law. Participants would have to recuse themselves from any active role in the case. In Francesca’s eyes, and I agree 200%, MLB has just set up a situation wherein should he lose his appeal, A-Rod has been given the perfect course of action to a federal court wherein he can say with certainty, “MLB has approached my case with bias and once again continued their “witch hunt” to discredit me.” Wow…what were they thinking? If he eveidence they have supposedly collected is so strong, so overwhelming, why would they resort to this tactic? What’s the point? How could they possibly think this bizarre strategy be viewed as anything other than a blatant attempt to stack the deck against his appeal? Francesca was appalled. The listeners were appalled. I was amazed. One listener did call in to say he thought that the host had been too easy on Rodriguez but my word…how could anyone dispute the absurdity…the outright unfairness of this action? In this morning’s NEWSDAY, there is a story that details the fact that MLB’s COO, Ron Manfred testified at the A-Rod hearing. Manfred is the highest ranking officer in the MLB hierarchy. And so the judge is also the accuser. Insane. A-Rod’s attorneys have of course requested that the arbitrator block or limit Manfred’s testimony for obvious reasons. Manfred is generally regarded as the “drug czar” for MLB, and has been intimately involved in all aspects of the case against A-Rod. I am a MET fan…but I was a BIG supporter and fan of Alex Rodriguez long before the entire PED mess. I was terribly disappointed when the allegations were originally made public. I still believe that PED’s might make you a better player but I dispute whether they can take a .210 hitter and make him Alex Rodriguez. That being said I was sorry to hear that such a great talent felt it necessary to use the drugs to enhance an already formidable set of skills. But this hearing is so unfair, and so stacked, that I would be amazed if the proceedings didn’t grow into another lawsuit..one that is neither frivolous nor overstated. What MLB is doing is simply not right. They need to cool their zeal in their efforts to banish this person whom they apparently see as the poster child for PED use. Maybe Selig and his cohorts should have thought about the consequences of their blind eye years ago and we wouldn’t be looking on as this saga continues to mushroom into an even more absurd embarrassment. Stay tuned. This battle is going to continue for a long long time, and let’s hope the truth and fairness will prevail. This entry was posted in Baseball, Bio, NY Yankees, Sports and tagged Alex Rodriguez, Bud Selig, Major League Baseball, Manfred, Miami, Mike Francesca, MLB, New York, Rod. Bookmark the permalink.